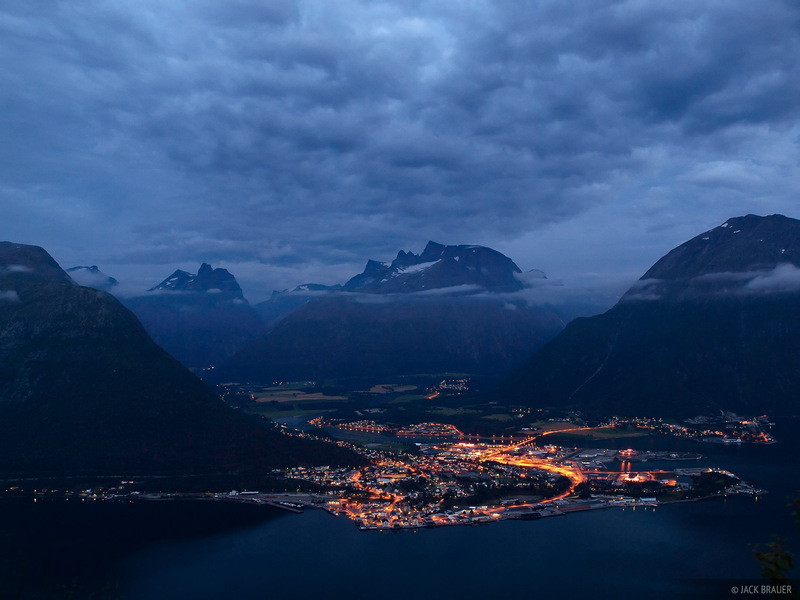 The small town of Andalsnes is situated on the shore of the Isfjorden fjord, surrounded by some of the most spectacular mountains and valleys of Norway. The Romsdalen and Isterdalen valleys are visible in this photo, behind the town. Photo © copyright by Jack Brauer.